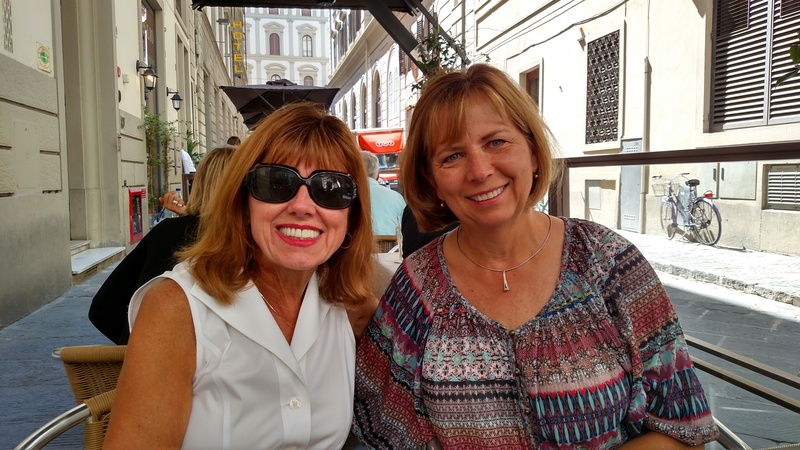 After a busy day in Rome yesterday, it was so nice to enjoy a relaxing day of wandering the streets, shopping and dining. After a lovely al fresco lunch, we explored some of the many delightful little shops. 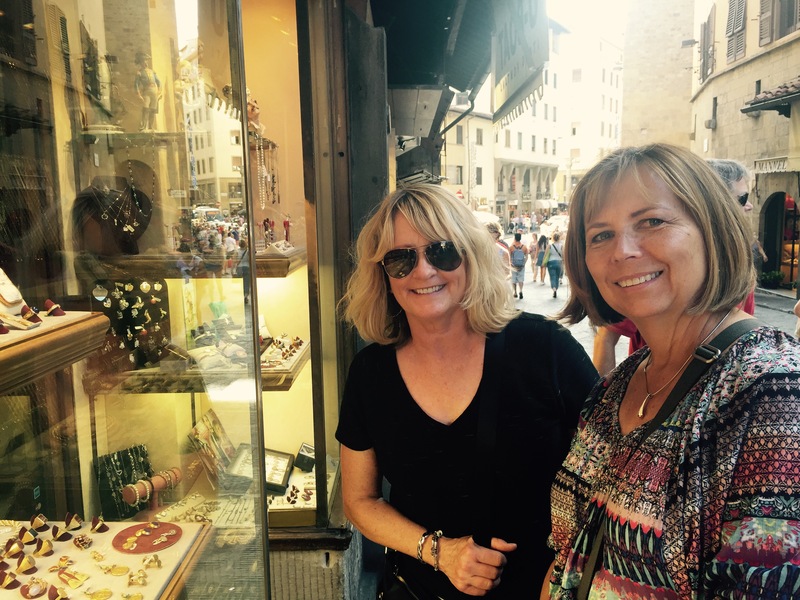 It was fun to look at the beautiful jewelry in shops on either side of the Ponte Vecchio, a Medieval enclosed bridge over the Arno River. 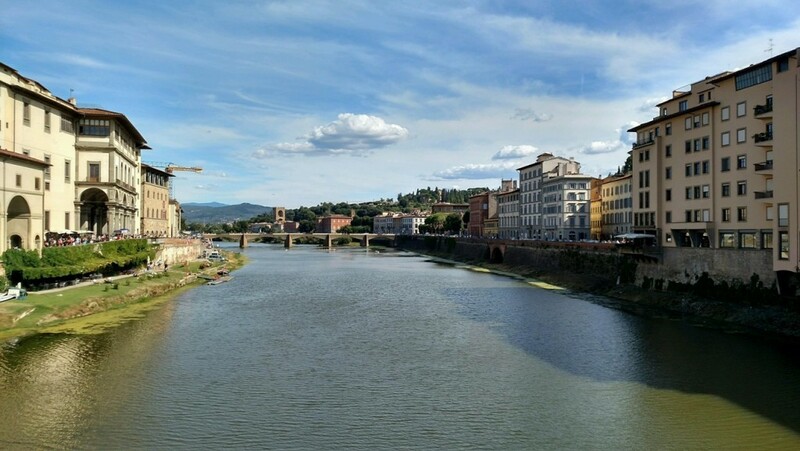 The bridge is lined with jewelry shops on both sides, and it is not apparent that you are on a bridge until you reach the opening in the middle and see the beautiful Arno River. 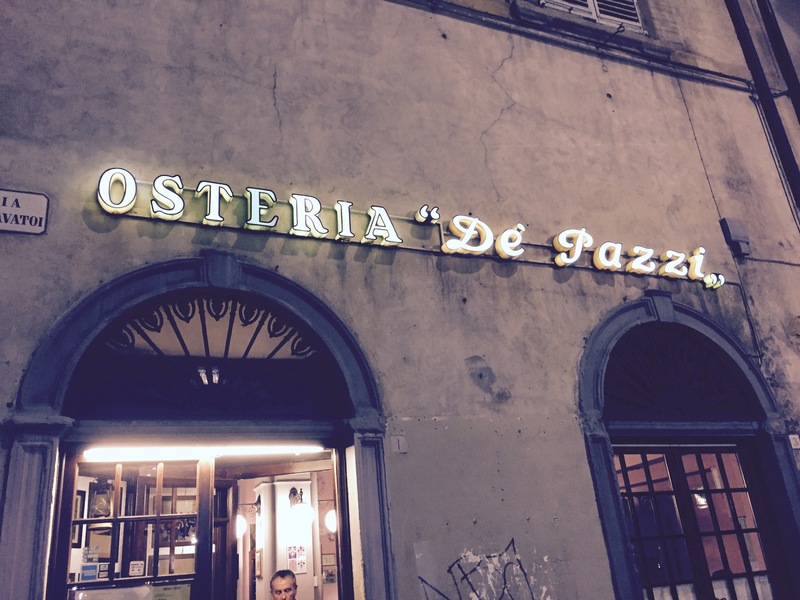 We had the most delightful dinner at one of our favorite neighborhood restaurants, Osteria de Pazzi. After a great experience a few nights earlier, we wanted to share it with friends Sylvia and Marilyn. This evening was even better than our previous visit. Our waiter recommended wine, starters and secondis, and everything went together fabulously. 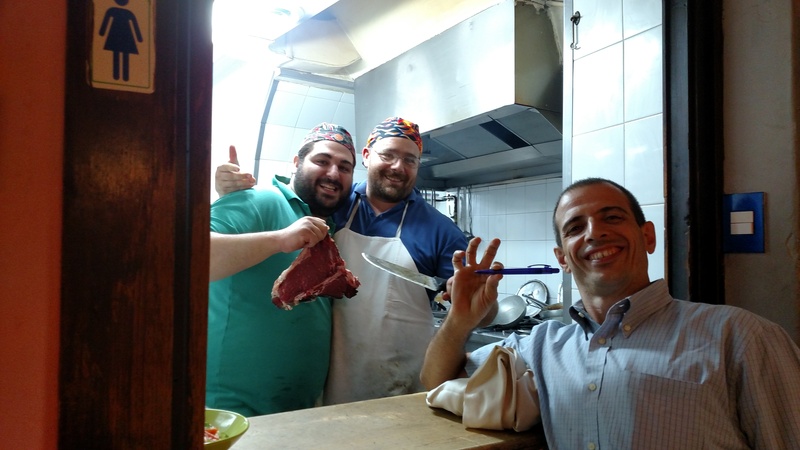 Our meal was so great that Sylvia visited the kitchen to express our appreciation to the chefs. 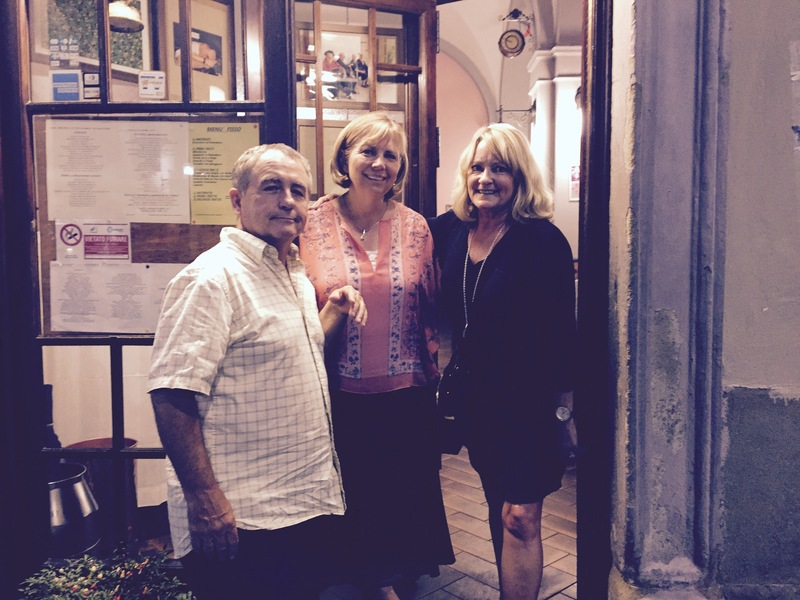 It was a great evening, made even better with a stop for our daily gelato on our way back to our apartment. 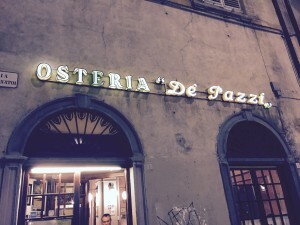 We capped off this wonderful evening with a stop for our daily gelato on the way home to our apartment. 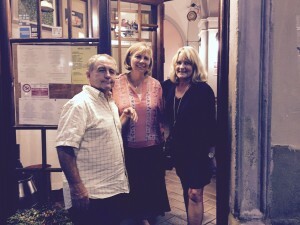 This entry was posted in Italy 2015 on September 8, 2015 by debbie.